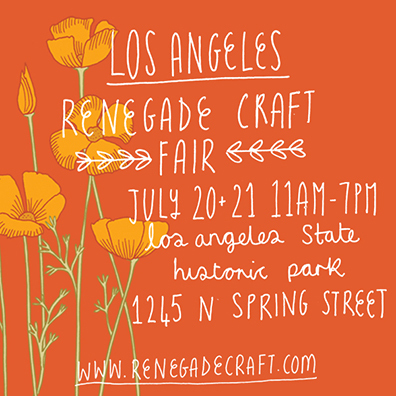 If you are in the area this weekend, stop by our booth at the LA Renegade Craft Fair. You will see a few new handmade book designs and can get a sneak peek of my newly published book! Look for us at booth #143. You are currently browsing the Erinzam News weblog archives for July, 2013.